If you're looking for the best selection of discount replacement Stihl parts online, Replacement Commercial Parts Warehouse is the place to come to. While we're not allowed to sell genuine Stihl parts on our website, we do have a massive selection of replacement chainsaw parts and trimmer parts to get your Stihl equipment back up and running in no time at all. 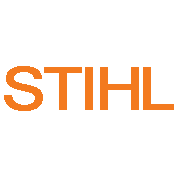 Please browse our selection of parts below or type in the genuine Stihl part number into the search box below to see if we have a compatible component or accessory so that you can complete your power equipment repair. Not sure if a part is compatible or will work on your blower or trimmer? Give our parts staff a call at 800-937-7279 and we'll be happy to assist. We have a large selection of high quality Stihl aftermarket replacement parts. Enter your part number above to find the replacement part you need!